Out of passion for Travel and Design! At Vespucci World, we have a team of Interior Designers with 10+ years of experience in home design. 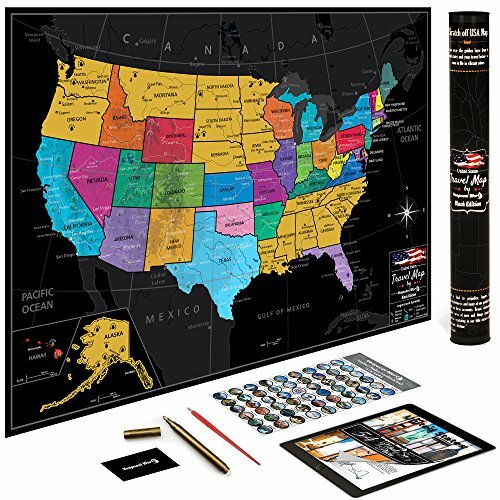 This project came out of combining our passion for travel and for design so we've created Wall Maps that will motivate you to explore more in the form of a beautiful Artwork that you'll enjoy seeing daily. We loved the concept track the places you've traveled but they were all plain looking with washed up colors and with a cheap feeling to them. After many months of testing and tweaking we happily present you a premium Travel Map which will look AMAZING in your living room! Order it now Risk Free! LOVE IT or your MONEY BACK! If you have any questions about this product by VespucciWorld, contact us by completing and submitting the form below. If you are looking for a specif part number, please include it with your message.